(0 Customer Reviews) | Write Review 4 issues per year Welcome to Aviation Classics, a series of high-quality glossy publications centred on the world’s greatest aircraft, the events in which they played crucial roles and those who flew, maintained and supported them. Every issue focuses on one aircraft, or significant event in history. Aircraft covered so far include the Avro Lancaster, the P-51 Mustang, Supermarine Spitfire, and the English Electric Lightning. Famous events covered include; World War 1, and the Battle of Britain. Each issue contains carefully researched data, unique photography - including some never before seem images, and in-depth features on the aircraft and those who flew them. 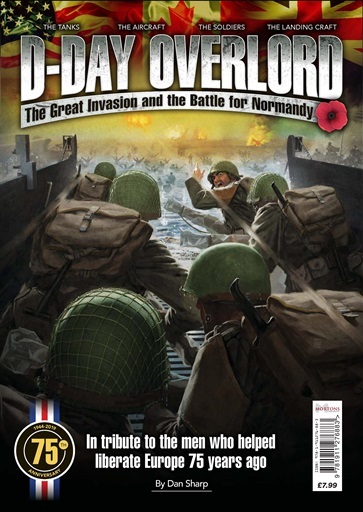 Updated to commemorate the 75th anniversary of the D-Day landings, D-Day: Operation Overlord and the Battle for Normandy , tells the full story of the invasion, with detailed accounts of each of the five landing zones on June 6, 1944, the airborne assault and the Normandy campaign that followed. It was the most ambitious military operation in history - the invasion of Nazi-occupied France by sea. A fleet larger than any ever seen before was assembled and launched under conditions of utmost secrecy to catch the defenders of Adolf Hitler’s formidable Atlantic Wall by surprise. At H-Hour on D-Day, British, American and Canadian soldiers landed on beaches whose codenames have since become a byword for heroism - Sword, Juno, Gold, Omaha and Utah. Men waded ashore into a hail of machine gun fire and fought their way through a tangle of concrete bunkers and armoured emplacements. More ferocious combat followed as fanatical Waffen-SS divisions armed with terrifying new weapons such as the King Tiger tank battled to the death to contain the Allied advance. 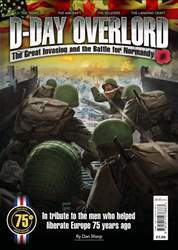 D-Day: Operation Overlord and the Battle for Normandy tells the story of the most important battle of the Second World War and remembers the men whose extraordinary courage and sacrifice brought about the liberation of Europe and put an end to Hitler’s tyranny. Welcome to Aviation Classics, a series of high-quality glossy publications centred on the world’s greatest aircraft, the events in which they played crucial roles and those who flew, maintained and supported them. You'll receive 4 issues during a 1 year Aviation Classics magazine subscription. You'll receive 4 issues during a 1 year Aviation Classics magazine print subscription.